Lotte Arai Ski resort opened in the winter of 2017. Hotel Lotte CEO Kim Jung-hwan stated that he plans for the resort to complete with Asia’s best resorts. The resort offers a world class standard hotel with over 200 rooms available, as well as extensive spa and onsen facilities. 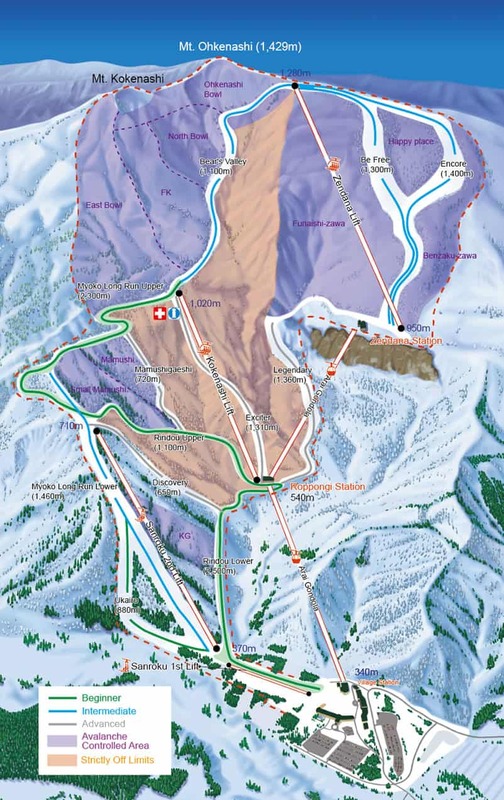 There are also numerous restaurants, stores an international snow school as well as other activities available. 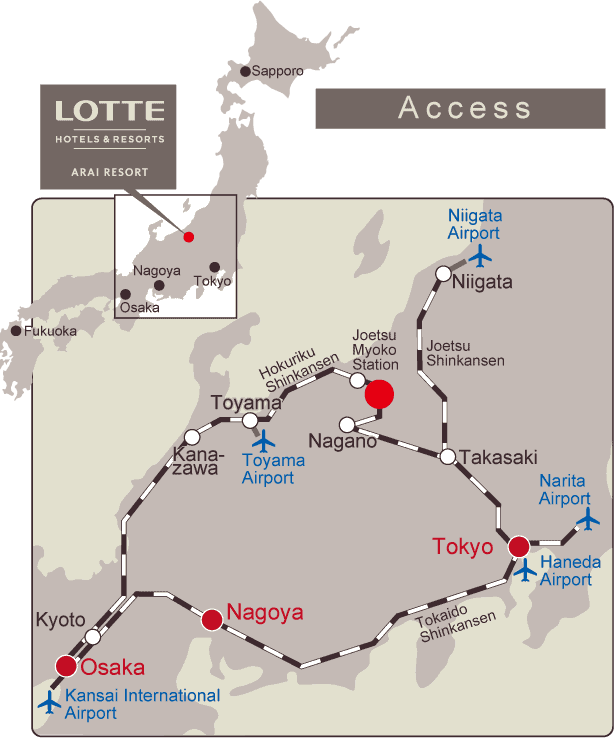 To get to Lotte from Akakura Onsen your 2 options are the ski resort bus service or taxi. The bus only leaves once a day and it is early in the morning at 7:50. This will allow you to enjoy the full day at Lotte though. If you go by taxi you can ask your hotel to book it at a time of your choice. 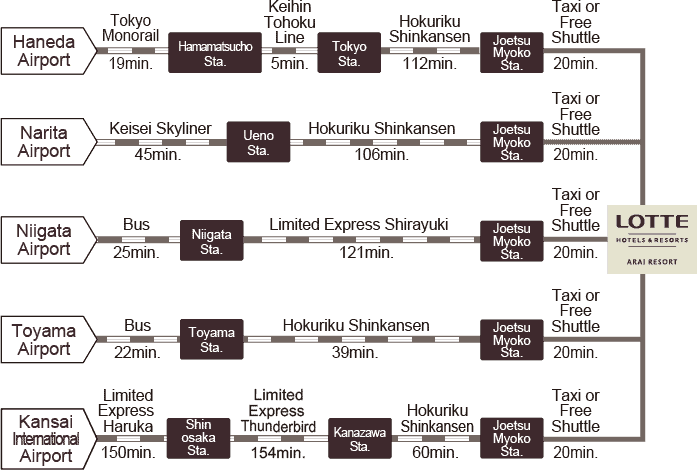 Taxi price is from 8,000 yen.